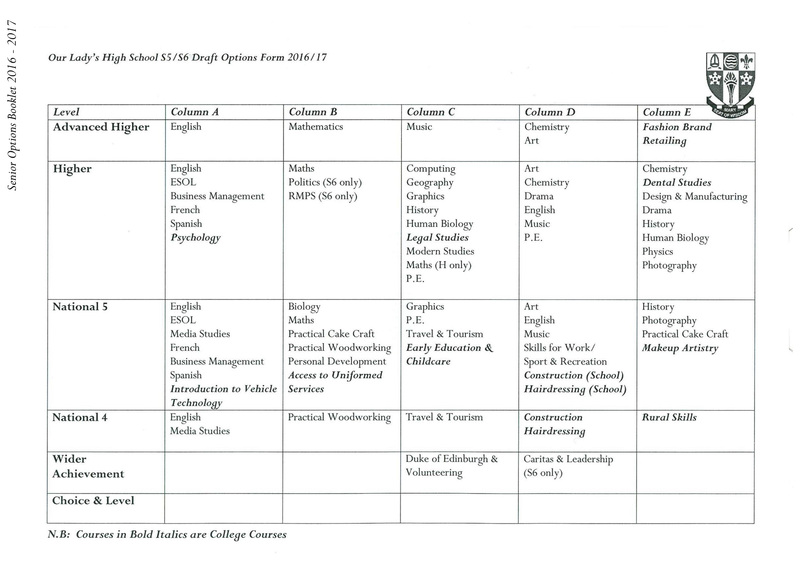 Please click on the link below to access the booklet for upper school subjects. 2016 S5/6 Personalisation and Choice Booklet. The National Parent Forum of Scotland has created summaries for the new National Qualifications. This includes information on over thirty subjects so far.